December rolled around and after four full school weeks without a break it was high time for a four day weekend. Every year in Durango the whole town pretty much comes to a standstill for a book/music/culture festival at the beginning of December (read: everyone gets pissed from Wednesday to Sunday), so it’s a good excuse to get out of town for a few days. 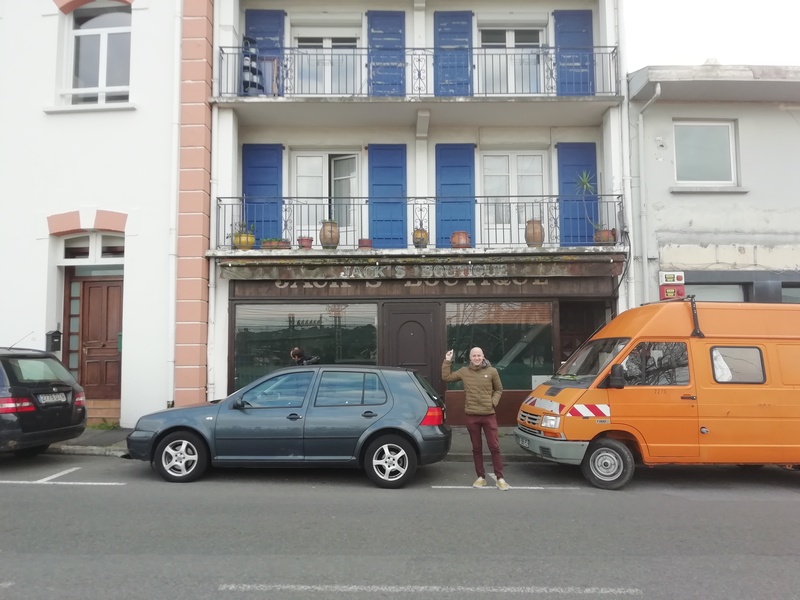 Just like last year when I went to Pamplona, this year my mate Laurence and I decided to jump on a bus to somewhere not too far away and opted for Bayonne, just over the border in the French Basque Country. As I mentioned when we went to León a few weeks before, the train travel here is really quite poor so we opted for the two-and-a-half hour bus from Bilbao instead of a strung-out five hour train journey. The place we were hoping to avoid. 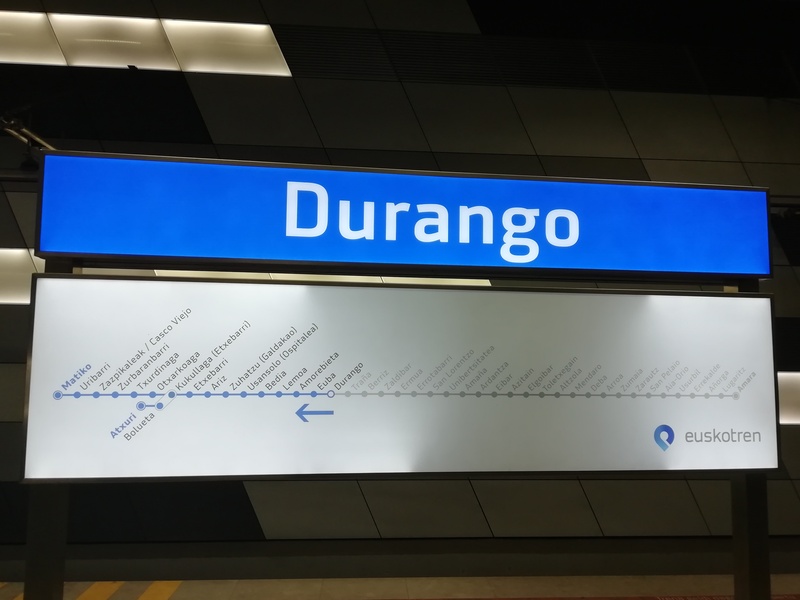 With it being a holiday, we arrived at Durango bus station in good time at 6.30am – an hour and a half before our bus was due to leave Bilbao – ready for the smooth 30 minute ride into the city. Unfortunately we found ourselves still stood there an hour later with nobody around seeming to have any clue as to when the bloody thing was due to arrive. A few quick sums told us that we were never going to make it in time, so we rushed to the train station instead and embarked on a tedious journey neither of us wanted and dressed it up as an ‘adventure’. Not a place I ever planned to visit. 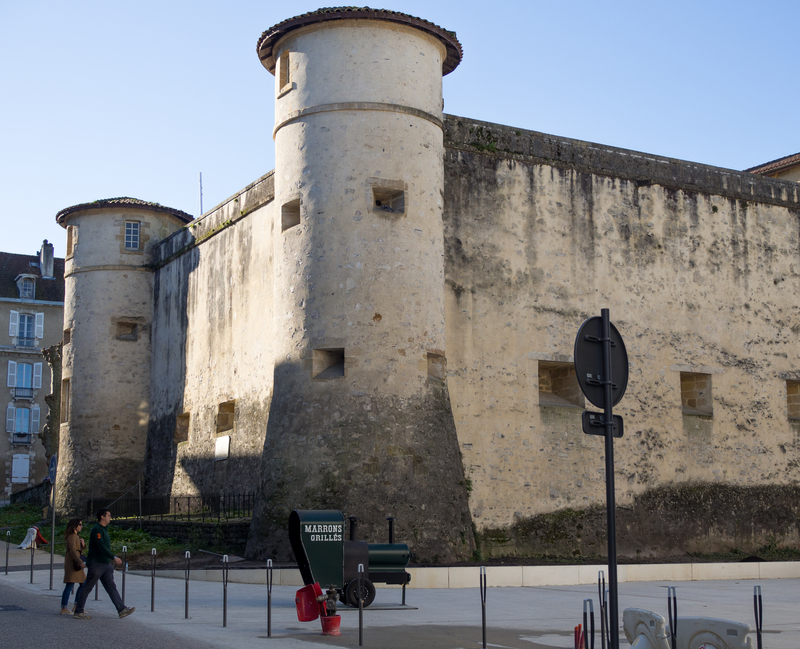 So the plan was revised from a swift bus from point A to point B, to a not-so-convenient jaunt from point A (Durango), to point B (San Sebastián) with a quick stop at point C (Hendaye) before finally arriving at point D (Bayonne) a good five hours later. Well, we were wondering what we could do in the four hours between the bus getting in and being allowed to check into our hotel. Problem solved! Positive thoughts, guys. We arrived in Hendaye with an hour to kill so took a quick wander around the town without seeing a great deal. 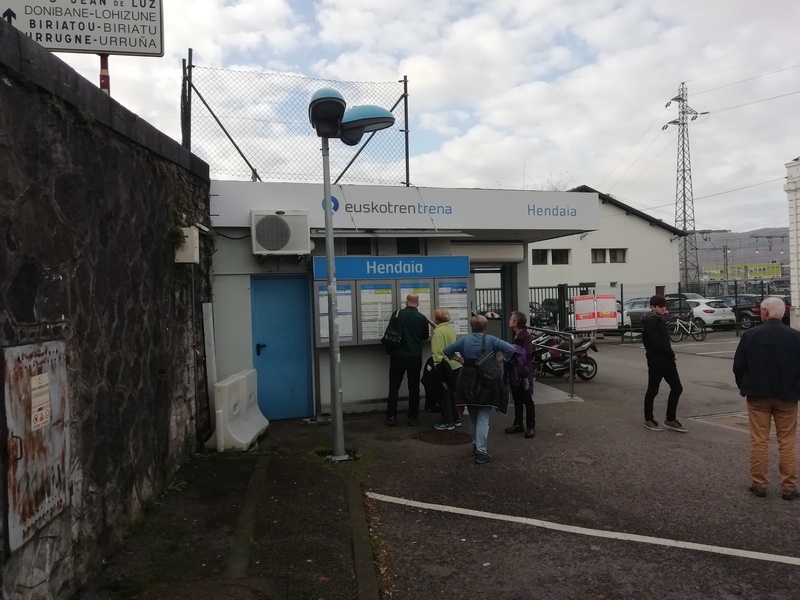 It was quite amusing though to see the difference between the station on the Spanish Basque side and the French side! 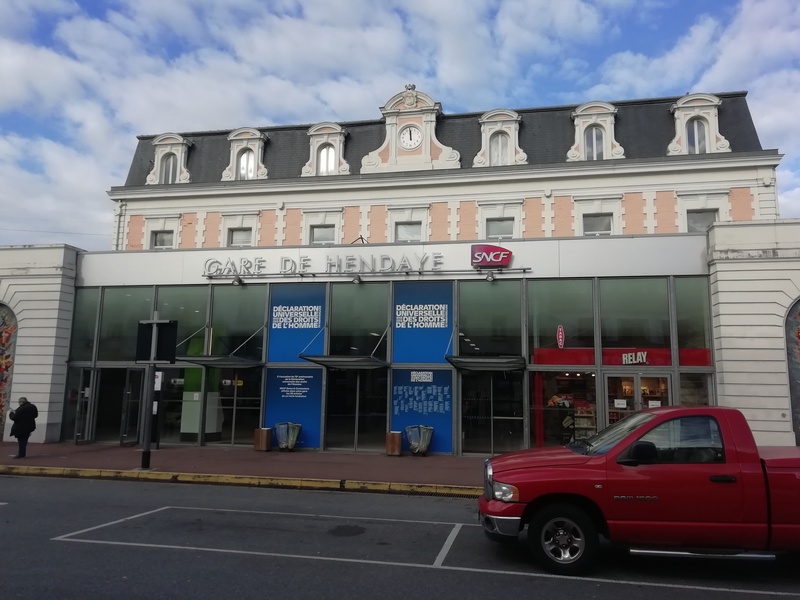 Literally 50 yards from the other Hendaye station! Like I said, there wasn’t a great deal to see in town – aside from a nice town hall, a few bars and restaurants. The highlight was undoubtedly this shop, which I’m sure you’ll agree is a must-see. 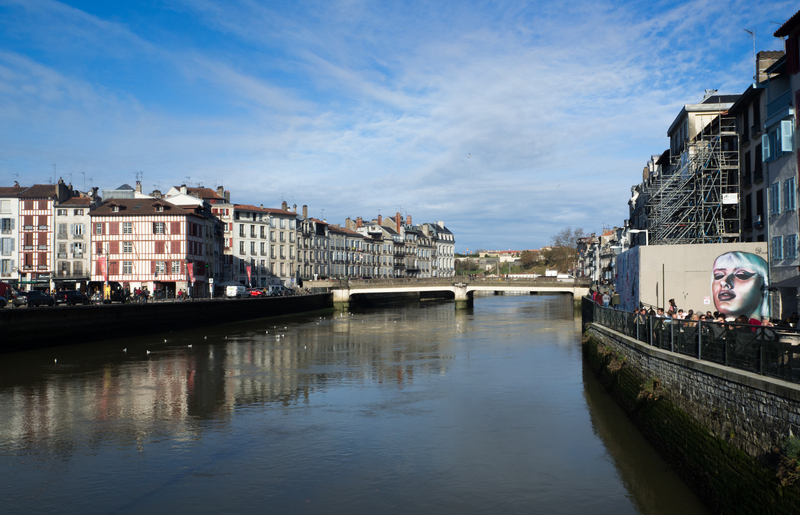 We finally arrived in Bayonne just before 1pm – a good two and a bit hours after we were initially due to arrive. All part of the fun, or something. The first plan of action was to get some good food down us. Now I’ve nothing against pintxos per se, but it’s bloody good to be able to sit down for lunch and actually get a full plate of food every now and then. Unlike most places, the ‘menu of the day’ style lunch menus in Bayonne seemed to be of as high quality as the rest of the service. 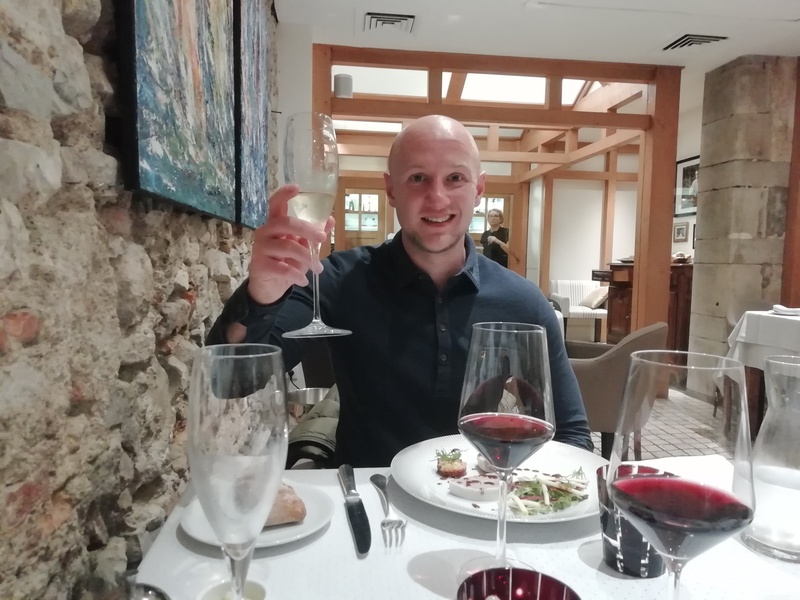 We opted for one such menu in one of the many riverside restaurants, with Laurence getting a lovely rare cut of veal while I treated myself to a whole seabass. 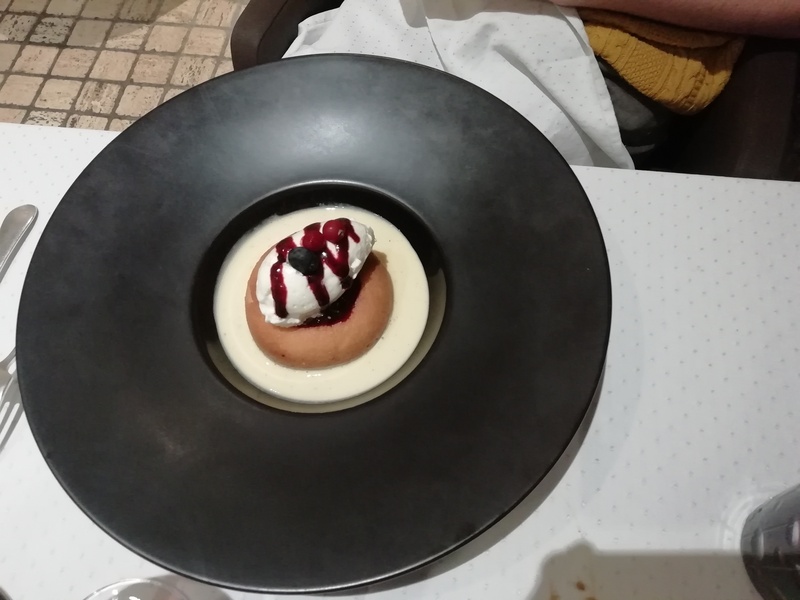 With a starter and a dessert thrown in this still came to a quite unbelievable €15 each. Bargain! Nice place for a spot of lunch. The rest of the day was very much a case of chilling with a few drinks while aimlessly wandering around. The best way to see a city you have no plans for! A quick visit to the Christmas market for some piping hot mulled wine was followed by a few more drinks before dinner in a bar/restaurant type place called Kalostrape. 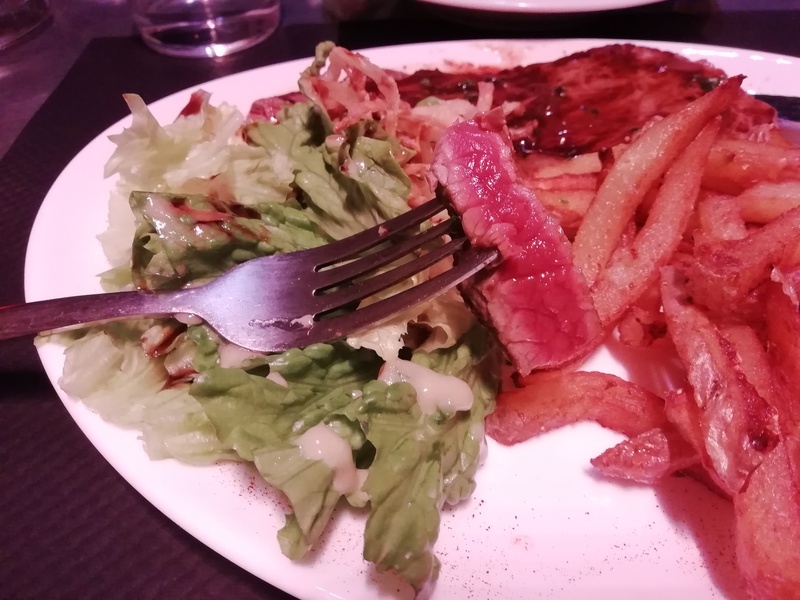 The pair of us ordered a rare steak each and it was seared to perfection which, for a very reasonable €14 each well and truly exceeded expectations! Insert ‘love heart eyes’ emoji here. A few more drinks were put away in the bars by the river before calling it a night around midnight. It had been a long day and we wanted to make the most of Friday! The day started with some Christmas shopping (you’re welcome, guys) before a spot of lunch and a beer. 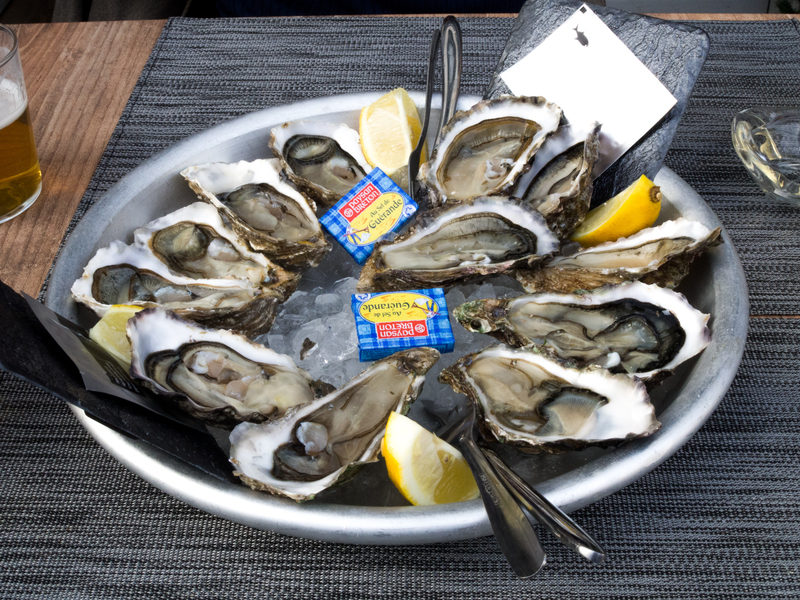 It was nice to have a little bit more to choose from than just bar food, and we decided to make the most of it with a plate of oysters from Georges and Co. While we were chowing down a man started playing the accordion behind us; it all felt very French all of a sudden. I’d like to say we spent some time exploring the cathedral, maybe taking in a museum and generally bettering ourselves during the rest of the day. Unfortunately I can’t. Basically all we did for the rest of the day was walk along the city walls and drink beer. A very small spot of sightseeing! Evening soon rolled around and after a few more drinks at the bar of our wonderful Hotel Le Port Neuf we asked our host Léon if he had any recommendations for food. We were on our holidays so we weren’t too fussed about money and as a result ended up at Goxoki: a very swanky restaurant next to the place we’d eaten the night before. We decided to sacrifice a night on the booze in order to spend more on the food and it was an inspired choice. Naturally, we started an an aperitif of champagne. Despite the chef having worked in a few Michelin starred restaurants the menu itself wasn’t overly pricey. We opted for a three-course set menu for €38 each and actually chose the same starters and mains! 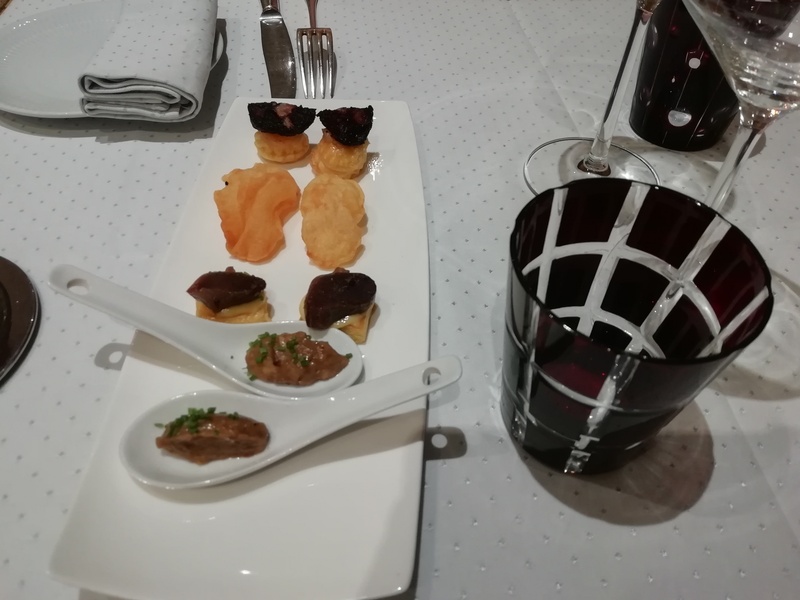 This was preceded by some amuse-bouche though, which is a phrase I hadn’t heard since buying my mum a serving kit in said style for Christmas a good few years back! I would 100% call this pretentious if I wasn’t the one eating it. 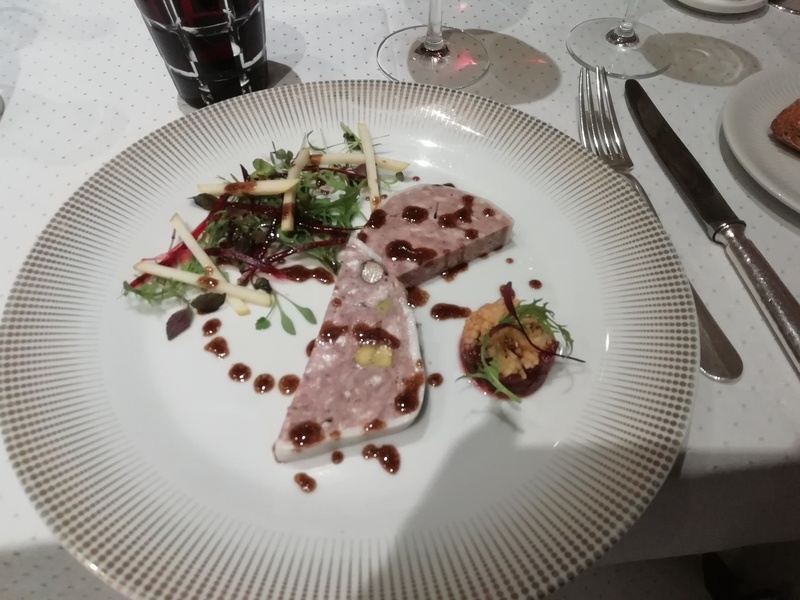 Starters were up next (well, after a bottle of wine) and we both opted for the boar terrine followed by a main of veal. As I often say in food posts, I’ll let the pictures do the talking! My first taste of boar, I believe! In-keeping with the weekend’s theme of rare meat. Dessert time rolled around and I had no idea what either thing was so I just chose the opposite of Laurence. 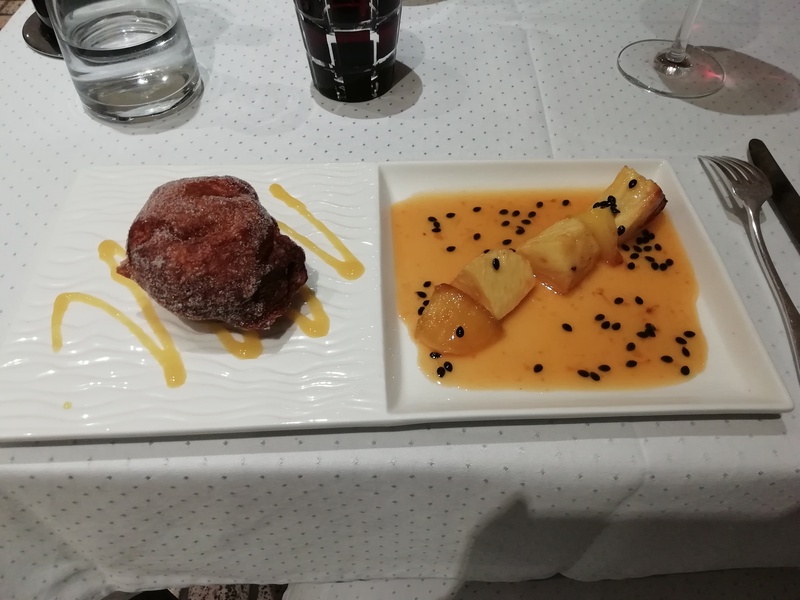 When mine came it was a pineapple dish of sorts with a passion fruit compote which wasn’t bad but truth me told didn’t really blow my socks off like the previous two dishes. On the other side of the table was a donut-y style thing. I know who won this course! Thankfully he got full halfway through and I managed to finish it off. …but I wished I’d ordered this! 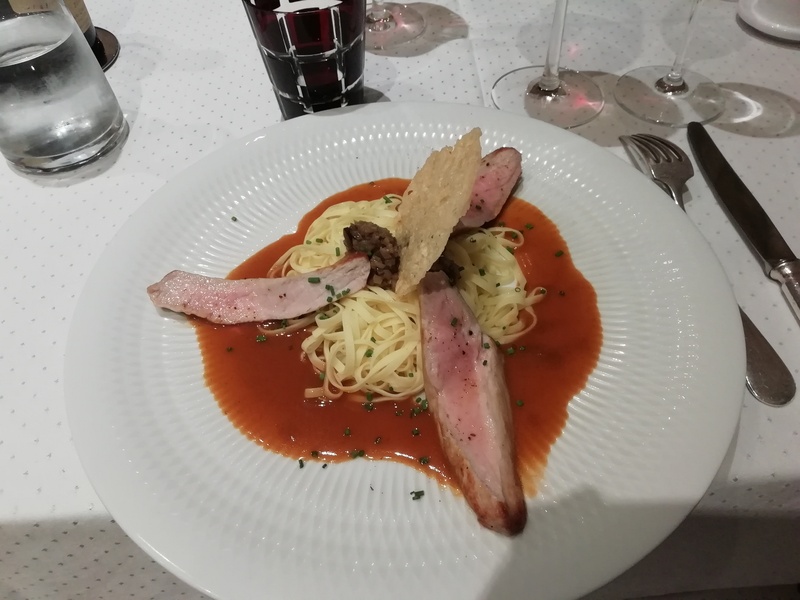 With champagne and wine the total bill came to €70 each – not bad for Michelin standard food! The plan was to have a few more drinks but after one we both reluctantly agreed that we were knackered and found ourselves back at the hotel just after 10pm! With our bellies full and our wallets empty (well, mine at least) it was probably a good shout. Either that, or we’re maybe just growing up a bit!